A car travels along the Midvalley Trail in August. 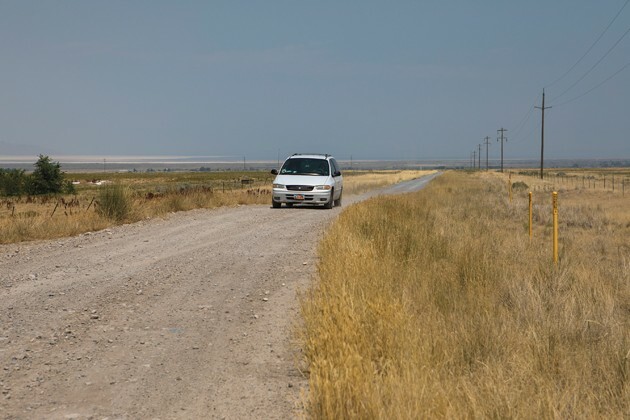 Last week, the Tooele County Commission voted to restrict motorized vehicles on the Midvalley Trail which includes motorcycles and OHVs. The Midvalley Trail will be closed to non-authorized motorized vehicles by order of the Tooele County Commission. The County Commission voted unanimously to make the Midvalley Trail part of the county’s active transportation plan and pathway program, which will limit the trail to non-motorized vehicles with the exception of authorized vehicles for maintenance. The vote came following a public hearing when three people spoke in favor of closing the road to motorized vehicles. 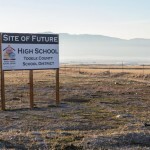 The first comments during the public hearing were offered by Charlie Roberts, Stansbury Park, representing the Tooele Running Club. Roberts described some of the problems encountered by running club members who volunteer to clean the trail. 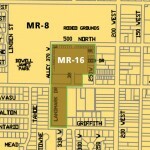 Jeff Coombs, Tooele County Health Department director, said the health department supports the commissioners’ proposal to limit use of the Midvalley Trail to pedestrians and bicycles. Brad Gillies, Stansbury Park, and a health department employee, spoke in favor of closing the trail to vehicle traffic with the exception of maintenance. Gillies said he is an avid bicycle rider who appreciates the county’s efforts to build trails and pathways for walking and bike riding without vehicles in the way. The property for the Midvalley Trail trail was purchased to provide transportation, not for vehicles, according to County commissioner Myron Bateman. “It was for people walking and riding bikes,” he said. “Our biggest problem is vehicles. It was never designed for cars to cut from Sheep Lane to Tooele. Our biggest problem is vehicles that were never allowed to do that tearing down our gates. Before voting, County commissioner Shawn Milne noted that a budget appropriation may be needed to address enforcement with barriers more effective than the current livestock panels that are being run over. The Midvalley Trail is a smooth, cinder-packed dirt road that used to be a railroad bed. It runs from a trailhead at Rogers Lane in Tooele City to Sheep Lane, east of Deseret Peak Complex. A total of 3.34 miles one way, a tunnel takes the road under 1000 North.